Giacomo Puccini’s Madama Butterfly – the composer’s self-proclaimed favourite work and certainly one of the most beloved operas in the repertoire – is brought to life at the world-famous Arena di Verona. This opulent production, directed by respected film and opera director Franco Zeffirelli, is sung by a cast of excellent singers. 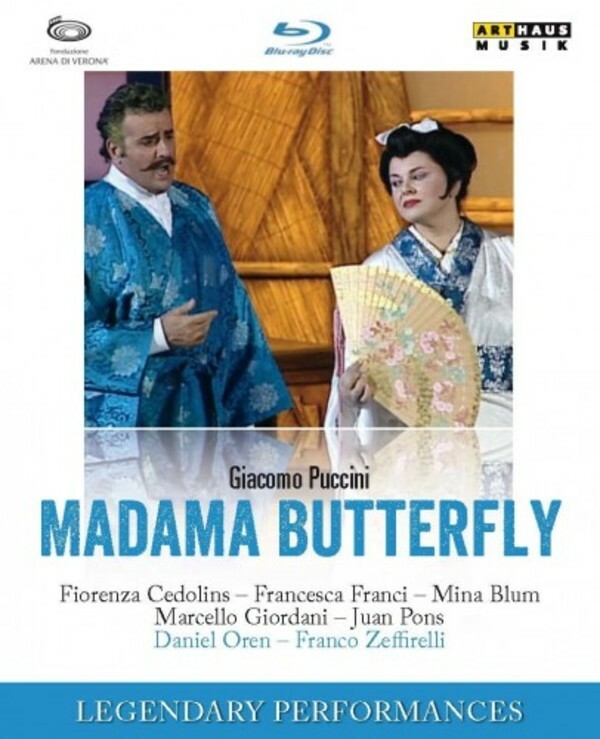 Fiorenza Cedolins is a sought after Butterfly singer and her Pinkerton is performed by the renowned tenor Marcello Giordani. The celebrated operatic baritone Juan Pons gives the principled United States consul Sharpless. The performance is led by long-established Arena di Verona conductor Daniel Oren with all the splendour that a Puccini opera demands. The sum of all this is a gloriously sung musical experience.